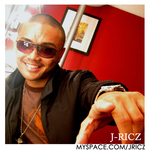 Sign up for Broadjam today to follow J-ricz, and be notified when they upload new stuff or update their news! A soultry sound filled with emotions that would make one reminisce about lost love. Last Christmas Â© 2008 George Michael A soultry sound filled with emotions that would make one reminisce about lost love.